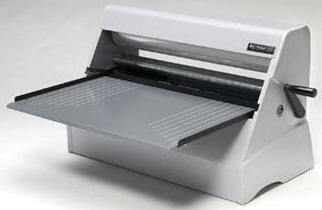 The Xyron Pro-2500 is a complete professional document finishing system. Offering three solutions in one easy-to-use package. The Xyron Pro-2500 makes professional document, signage and poster finishing up to 25" wide fast and easy. Instantly apply laminate, adhesive or both without heat or electricity. Simply feed the item in, turn the handle and trim. No smell, no mess, no waiting. 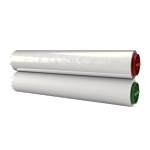 Aggressive adhesive, coupled with high pressure rollers, improves both transfer and bonding quality. Patented drop-in cartridges allow quick and easy application changes. Even, edge to edge adhesive application.